Canada's greatest and most recognised songwriter, Gordon Lightfoot, is also known internationally as a folk-rock legend who has inspired a healthy following of such enthusiasts within a mainstream audience. Having written songs that cross the divides breaching country and folk and achieving critical and international acclaim for Black Day In July in the late sixties (inspired by racial events in America at the time), Lightfoot's strength of repertoire boasted global hits such as 1974's If You Could Read My Mind, Sundown, Carefree Highway and The Wreck Of The Edmund Fitzgerald, the latter of which hints at his style of historical approach in writing. By 1979, his legacy was abundant and apparent to many, both on camera and on stage. 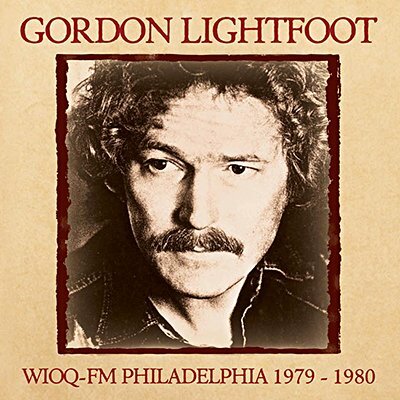 Lightfoot also provided film-makers with the soundtrack for the nautical documentary Ghosts of Cape Horn, a song that appears in his televised Soundstage performance from 1979 simultaneously broadcasted by WIOQ-FM in Philadelphia. Echoes very proudly presents the entire surviving broadcast by Philadelphia's WIOQ-FM of the legendary appearance at the PBS Soundstage by the 'Canadian national treasure' in 1979. Fully re-mastered sound with background liners and rare photos.